Columbia StrEAT Food Truck Fest, the biggest food truck festival in Canada, hits New Westminster this Saturday. 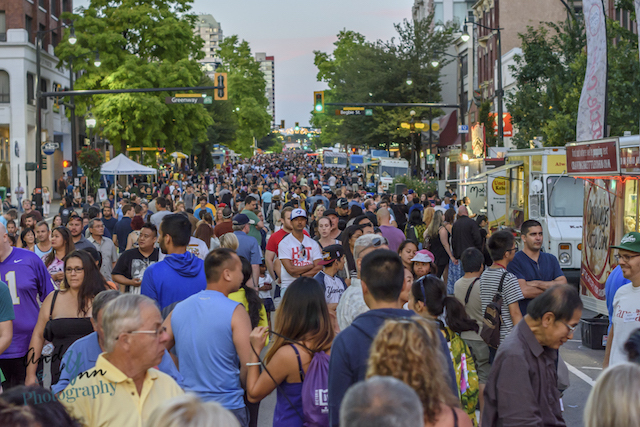 90 food trucks, from tacos to thai, perogies to poutine, will complement live entertainment, and much more in the heart of Downtown New West. 150 vendors in total will add to the atmosphere of the event, along with 24 shaded patios, live music stages, 6 beer gardens and endless food options. Worried about missing The Tragically Hip‘s final concert streaming on the CBC? The national celebration will be played live on a 27-foot screen at the event. Three live entertainment stages will be setup at Eighth St & Columbia, Begbie St & Columbia, and McKenzie St & Columbia. Take the SkyTrain to New Westminster Station or Columbia Station for easy access. Follow the event on Facebook for more information.